Currently i have a 2018 Alfa Romeo Giulia and while it is amazing i need to try to be smart and get something more economical. I was looking at getting a new Grand Cherokee but i kind of was looking for somehting cheaper than that. Something like 20k OTD would be perfect but i can go up to 25k OTD and put 5k down. That is no issue for me. I want to get something that i will really like not just a point A to point B car. 1. Since you purchased an Alfa and were considering a Jeep, it appears that reliablity is not a high priority. 2. Since you purchased an Alfa, it appears that fun to drive is a hight priority. 2. If you want a real ripsnorter, then look at the VW Golf R. The R may outperform the Alfa. 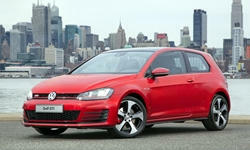 If AWD is not a concern than consider the standard Golf or GTI. Both rate very high on the FTD factor, comfort (for a small car) and at the same time have a high degree of practicality. There are still a few 2018 Golf TSIs with the 1.8T on the lots that should be priced to sell with the 2019s on the way. There are not a lot of changes betweent the 2018 and 2019 except the 2019 engine is a smaller 1.4T and it comes with an 8 speed auto rather than a 6 speed. That combo is anticipated to match the performance of the 1.8T while getting more mpg. 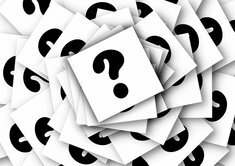 The standard caveats that a new drivetrain may be glitchy and VWs can have reliabiity issuses, especially over the long haul. However, they come with an exceptional 6 year, 72,000 drivetrain warranty that one of the best in the industry. Happy hunting. Please let us know what you end up with! It is not in my DNA to recommend cars that are not at least average in reliablity. Sorry. Okay. 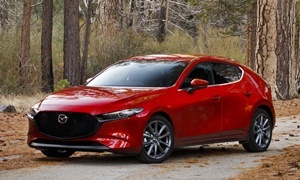 Given price, reliablity, and ride smoothness the best bang for you buck is going to be a Mazda. They have good prices, are fairly reliable, and while not the smoothest thing to drive are good enough as they are fun to drive. I will go to the car Lectrofuel recommends a lot here - the Mazda 3. 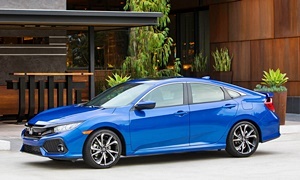 It is not expensive, is pretty reliable, and it has decent smoothness but it won't be a smooth as say a Honda Civic because it prioritizes handling. It is not much worse than a Civic, but it is a little less smooth. 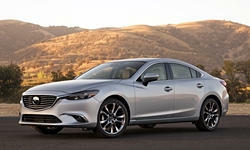 If you want something bigger, the Mazda 6 costs more but gives you more room than the 3. 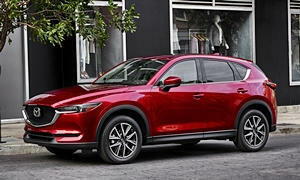 If you want something bigger the Mazda Cx-5 is a smaller SUV that is also not too bad in reliablity but once again costs more and it a good handling SUV. It also is available in AWD. Unfortunately I would not get the CX-9 as that has more problems than the three previously mentioned models. Only the CX-5 among the above have AWD (CX-9 will as well but I cannot recommend that one). Something fun with AWD and is reliable and rides smoothly is hard to do. Lexus NX and RX might fit the bill but are going to push you on price and you would have to buy used, as new cars are not in your price range. VW is fun to drive as danlishall states and not that expensive, but as he also correctly states, the price you will pay over the longer term on those is reliablity. Best of luck, let us know what you decide to get - always interested what people do with the advice (ignore or go with it). A good point A to B car that is also fun is easy to find. You didn't give any other preferences. I agree with Dan's GTI suggestion. It isn't very reliable, but it isn't even close being as bad as an Alfa. Some people have good luck and some people have a few problems with them. Get a manual if you want to have more fun and it will improve reliability. It also lowers the purchase price and requires less maintenance than the DSG. A Mazda Miata would also work if you don't need a lot of space. It is always very reliable and fun to drive. If you need more space, the Mazda 3 2.5 is a good option. Very nice car to drive. Just expect it to ride more like a Miata than a Corolla or Civic because the suspension is tuned for handling. Mazdas offer more of an emotional connection between the owner and car than every other mainstream brand in my opinion. This seems like what you are looking for. My son loves his 2015 Mazda 3 2.0, but I'll say the ride is not comfortable and there is a lot of road noise (the OEM Toyo tires are loud). Pandora also sometimes does not work without grabbing your phone first. The backseat is tight. Apple CarPlay is available as a dealer upgrade. The styling is beautiful for an economy car IMO. No problems so far, and Mazda is the third most reliable brand in the Consumer Reports survey; up there with Toyota and Lexus. The 2017-18 model years give you a more comfortable and quieter ride with no decrease in handling. It still isn't as comfortable as a Civic. The CX-9 has new reliability ratings from CR. CR and TrueDelta show the 2016 and newer CX-9 is reliable now. It used to have infotainment problems, but those went away with software updates. It would be way out of budget anyways. That turbo Kona is quick! I'm pretty sure it won't be reliable because the Hyundai Tucson had the same powertrain combo with the DCT and 1.6T and owners had a lot of problems. 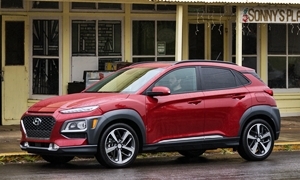 Hyundai knew this so I have no idea what they were thinking introducing it in a new CUV. The 1.6T is the third least reliable turbo engine in the CR survey. Hyundai got rid of the 1.6T Tucson for this reason. The 2.0L will be more reliable, but slower and with less feature content. Also, it is the first model year. I would avoid it for now. The variations of the latest Civic are worth a look. You've got the Sedan, Hatch, Coupe, and Si. The Sport Hatchback might be what you want. The Civic has not been as reliable as the Mazda 3, but is a better overall car than the Mazda in several ways. A Grand Cherokee isn't really more economical than a Giulia. Don't buy a car from FCA unless you think it is worth the repair costs. Jeep and Alfa both fall under FCA. The Jeep seems like the worst car for your situation. Have fun shopping and please tell us what you get! Once again, LectroFuel has done the research and provided great info! Mazda3, Civic, and Golf are best options, all great rides, fuel efficient, and all within your price range - are you blessed or what? We'd love to hear what you get and why. But dang, I confess I'm disappointed to hear about the Niro drivetrain reliablity issues - on paper it seems like seems like a real winner. So much so that it was on my short list for my next city / runabout hatchback. Gonna have to seriously reconsider that now. Thanks for the heads up LectroFuel. The Niro is still reliable I think. I just said I expect the Kona to be unreliable, especially being a new model. At least they have the long powertrain warranty.